Most of us have encountered difficult times in our lives that make us reset our focus on what is really important and our next interviewee is no different. 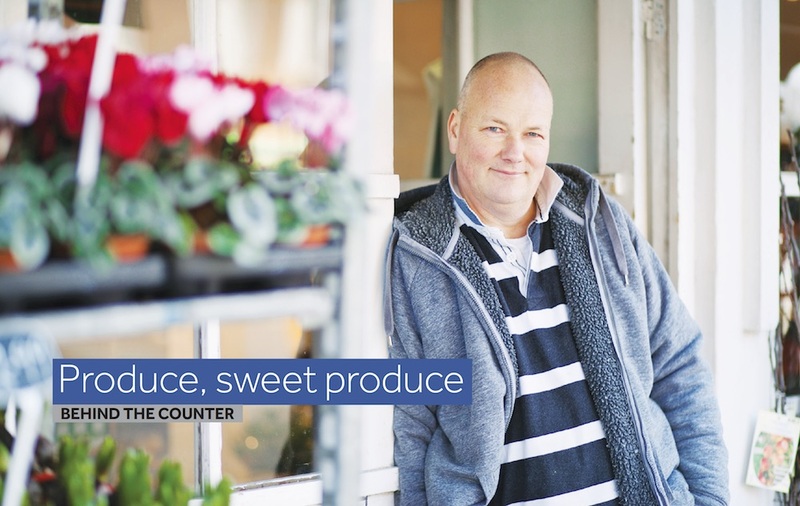 From changing the way high street stores operate across the country, to the hardship that has influenced his business decisions, this next edition of Behind the Counter takes a bite into the life of Paul Bignall – owner of Paul’s Greengrocers. In 2006, Shirley Temple shared some words of wisdom at the Screen Actors Guild Awards: “I have one piece of advice for those of you who want to receive the Lifetime Achievement Award: Start early!” Paul Bignall, let me tell you, started very early. After six weeks in Spain celebrating the World Cup, Paul returned home and needed two weeks to recover! Once he’d learnt the ropes and got to grips with all of the different operations, Paul passed with flying colours. He was then moved around the South East of England opening stores, setting up new displays and getting employees on their feet. It was during this time that Paul was posted as an Evening Manager in one of the shops. “Supermarkets were getting busier and busier as people started to enjoy the big retailers that sold lots of items in one place. However, staff weren’t able to keep up with re-filling the shelves before it was time to close. We were constantly chasing our tails,” Paul explained, “and so I asked to keep a selection of staff overnight and we trialled overnight re-filling.” After a successful pilot, Sainsbury’s – along with other supermarkets – began to roll out overnight re-filling and it’s now a standard practice. He moved to a different retail company but after a couple of years had to make the tough decision to either stay with the big retailers or leave and go and help his mother with her greengrocers business that was sadly struggling due to the increase in larger supermarkets and the early 90s recession taking affect. Paul saw the opportunity and decided to take over the business.